the places you visit – fast. Record a photo along with your location in a matter of seconds. If you like, add some notes immediately, or later when you have time. your spikes online and to all your iOS devices. 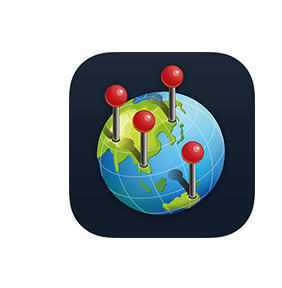 Create, edit and review spikes from your computer, iPad and iPhone – GPS Log keeps it all in sync. with your friends via Geospike to Facebook, Twitter, and more.